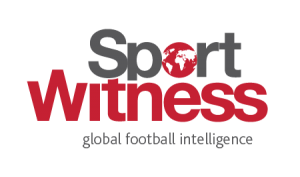 Bournemouth continue to put pressure on Levante to sell Jefferson Lerma, but the La Liga side are standing strong as they continue to require €30m for the Colombian defensive midfielder. On Tuesday, Superdeporte reported the player was on his way back from his holidays to join his teammates in Holland for the end of their preseason tour, and was planning on voicing his displeasure at the club in person for rejecting the Cherries’ bid. 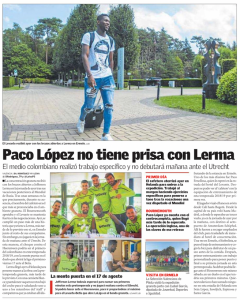 Despite arriving a bit later than hoped, Lerma was back in training on Wednesday, but did so by himself, as his manager, Paco Lopez, isn’t planning on using him in their upcoming friendly against Utrecht. Superdeporte state the Spaniard is in ‘no rush’ to use his star man, and will most likely wait until the game against Heerenveen on Saturday to give him minutes. For now, Levante are moving forward with the Bournemouth target in their plans, meaning they expect Lerma to remain professional throughout the next week amid all the speculation about his future. At this point, the ball is entirely in Eddie Howe’s and Bournemouth’s hands, as they know what to do if they really want to sign the defensive midfielder.